Naya Rivera to Appear on Season 2 of "The Glee Project"
Most "Glee" kids would turn away at the sight of a giant slushie, but Naya Rivera was all smiles when she saw one recently. 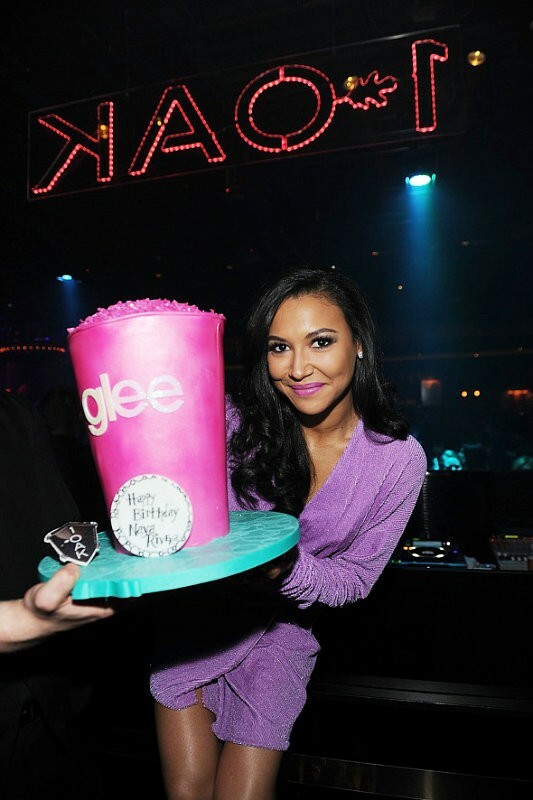 The actress playing Santana Lopez on the FOX hit series was presented a large pink birthday cake in the shape of a slushie when celebrating her 25th birthday on Saturday, January 21. The actress, who will serve as a mentor for season 2 of "The Glee Project", came to her birthday bash, which was held at 1 OAK nightclub at the Mirage Resort Hotel and Casino in Las Vegas, just after midnight rocking a short purple dress. She began her night dining at Stack Restaurant & Bar.